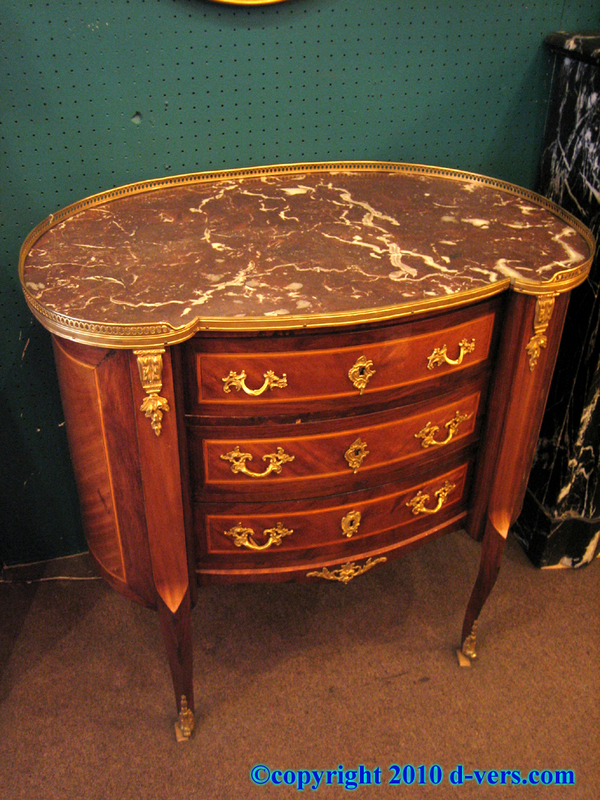 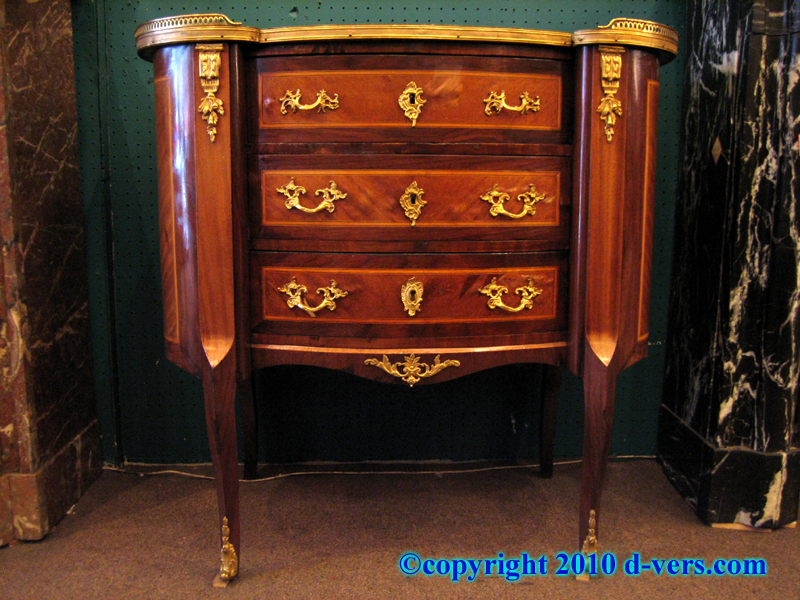 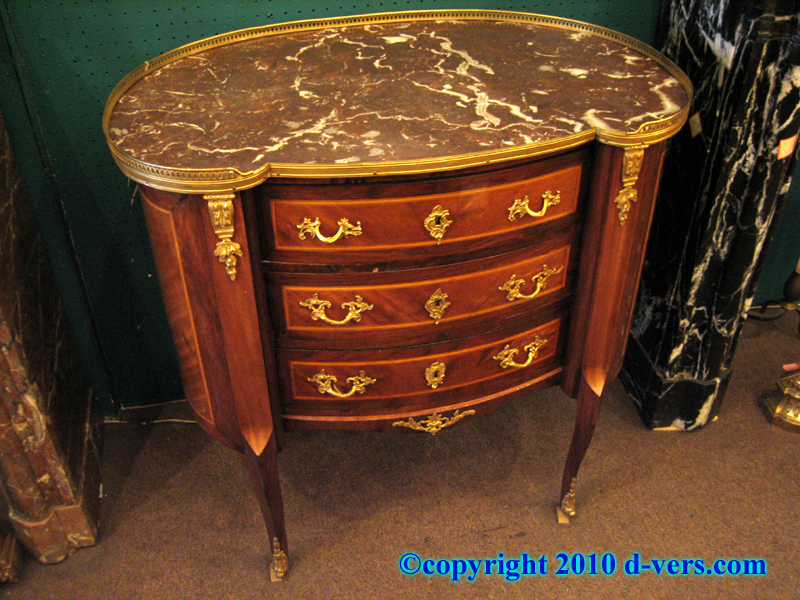 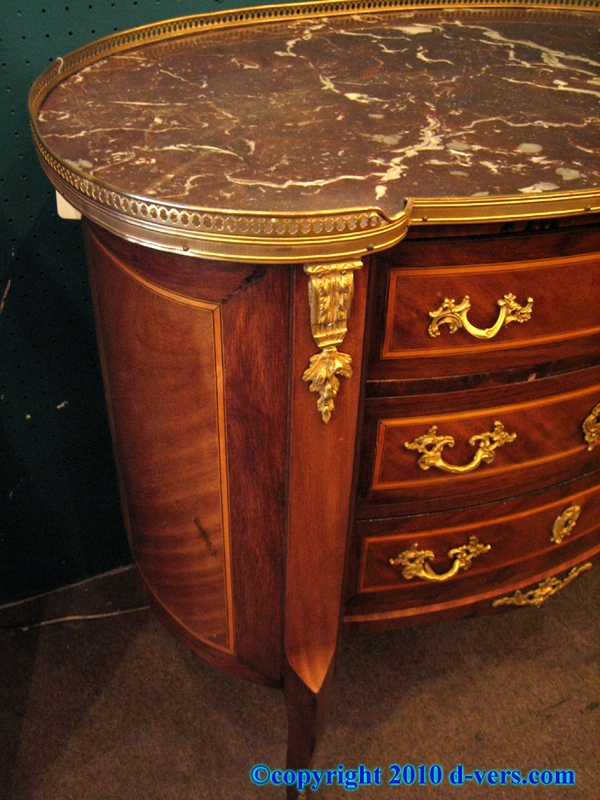 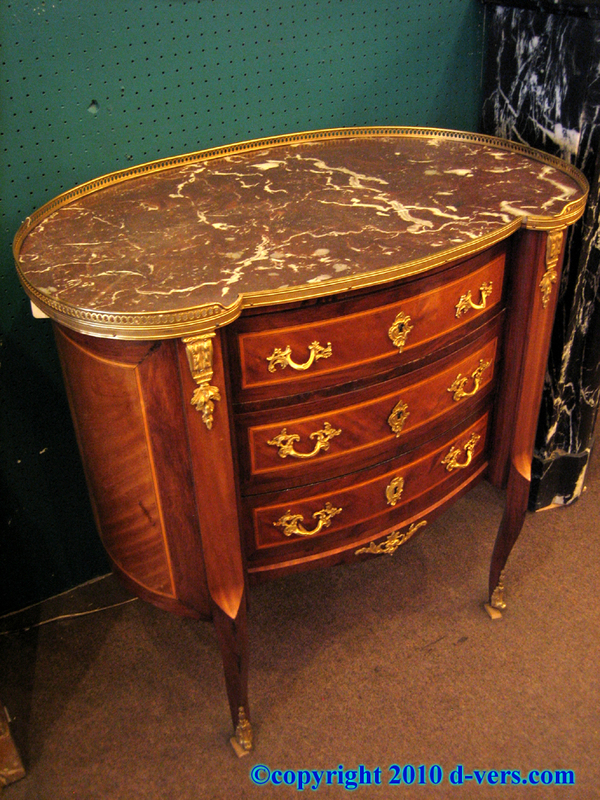 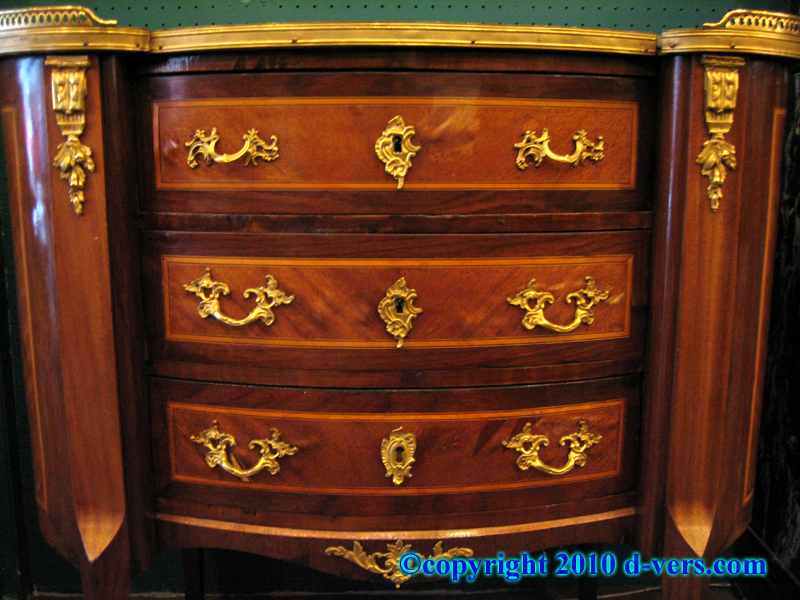 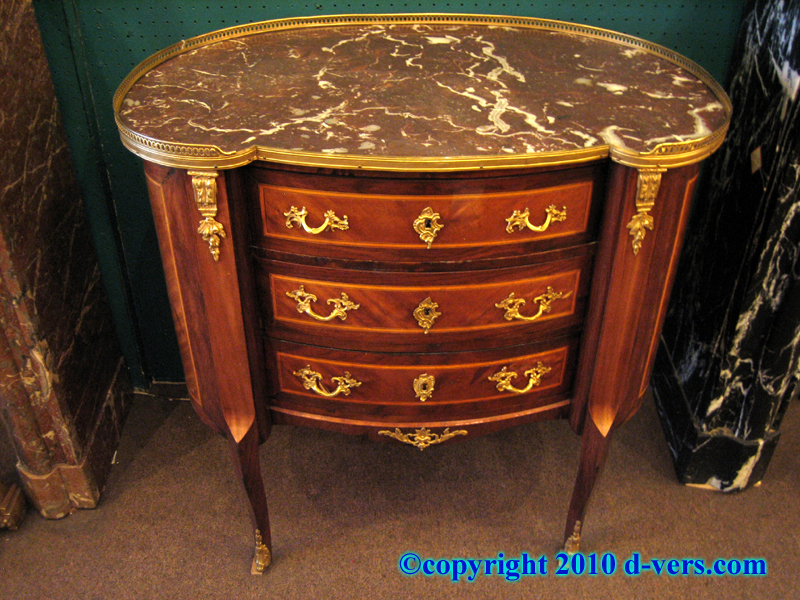 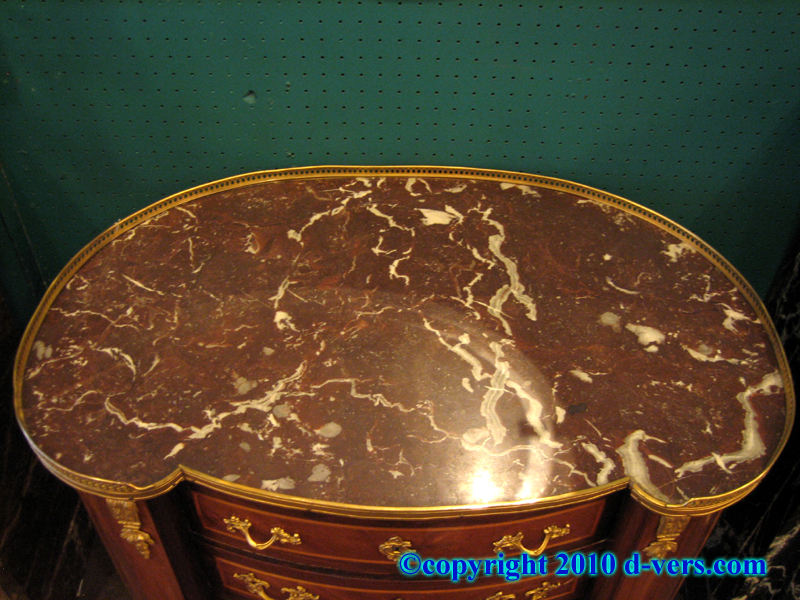 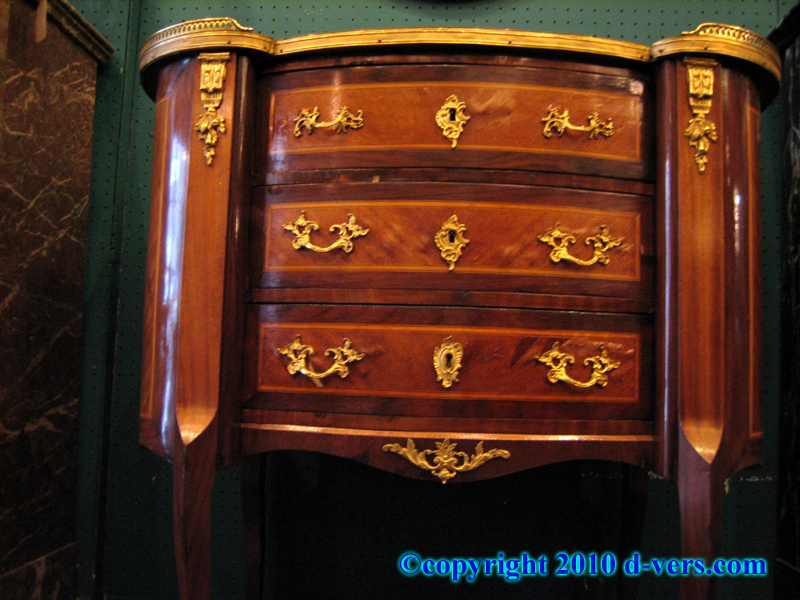 Transitional style commode in a kidney shape with marble top. 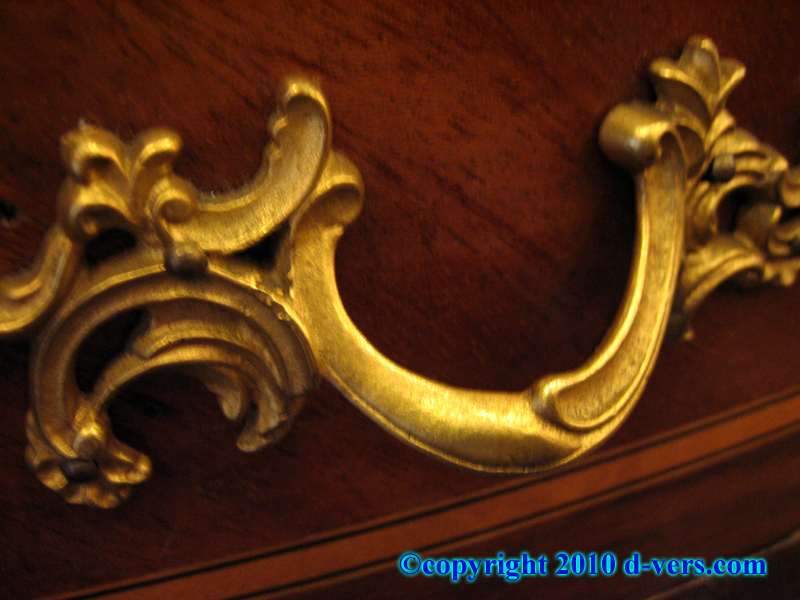 Bronze mounted ormolu gilded pierced gallery surrounds the marble shape, extending to border the marble. 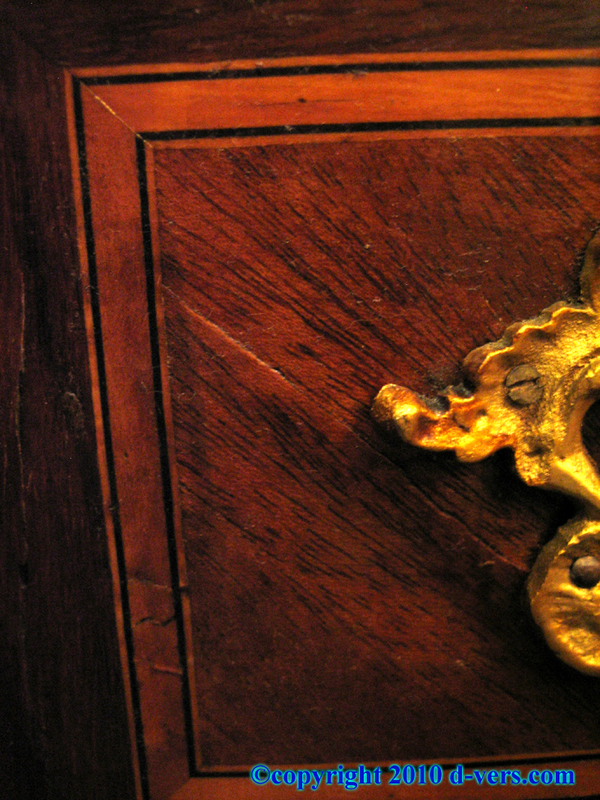 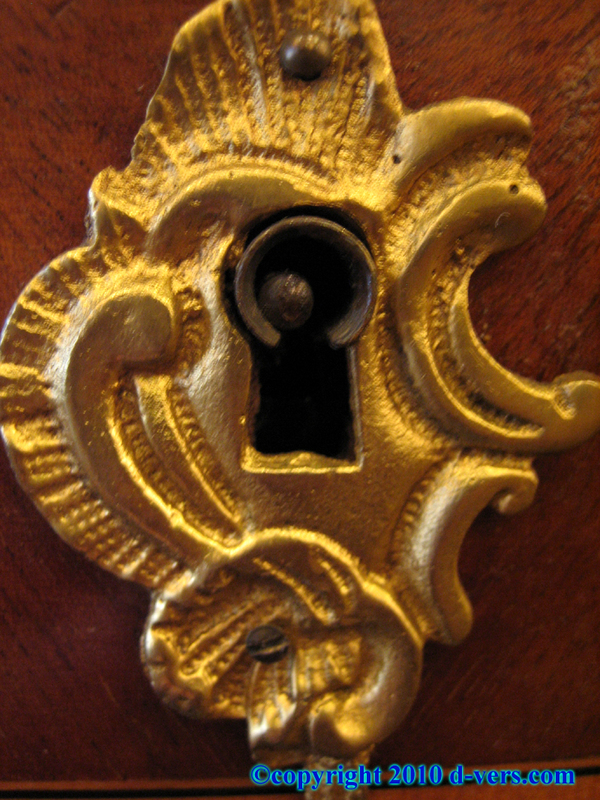 Bronze mounted ormolu decoration on the drawer pulls and keyholes, in stylized foliate design. 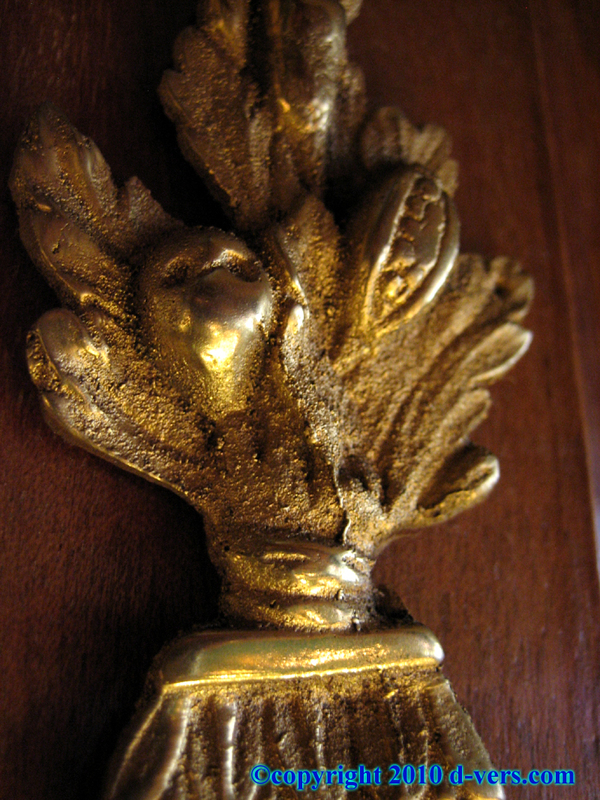 Sides topped by stylized foliate designs hanging from a flag-type shape, and bottom center decorated with bronze mounted ormolu gilding in stylized foliate design. 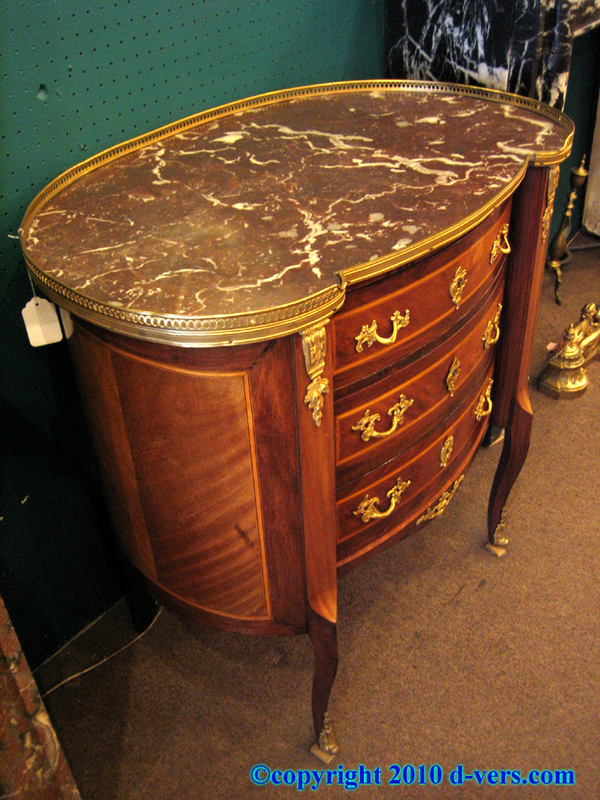 Slightly cabriole legs with bronze mounted ormolu gilded feet. 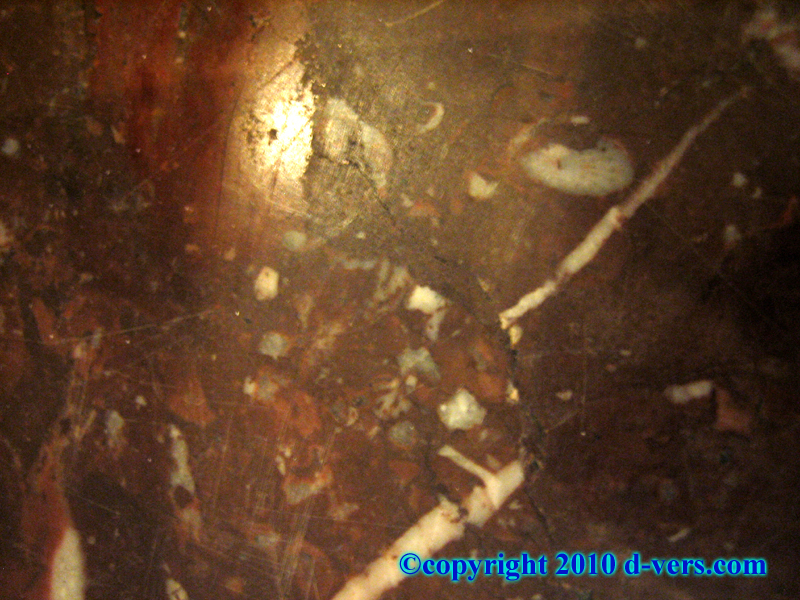 Measures 34â€� high, 35â€� wide, and 22â€� deep. 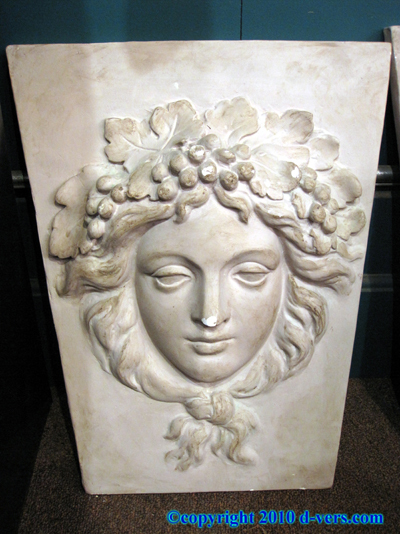 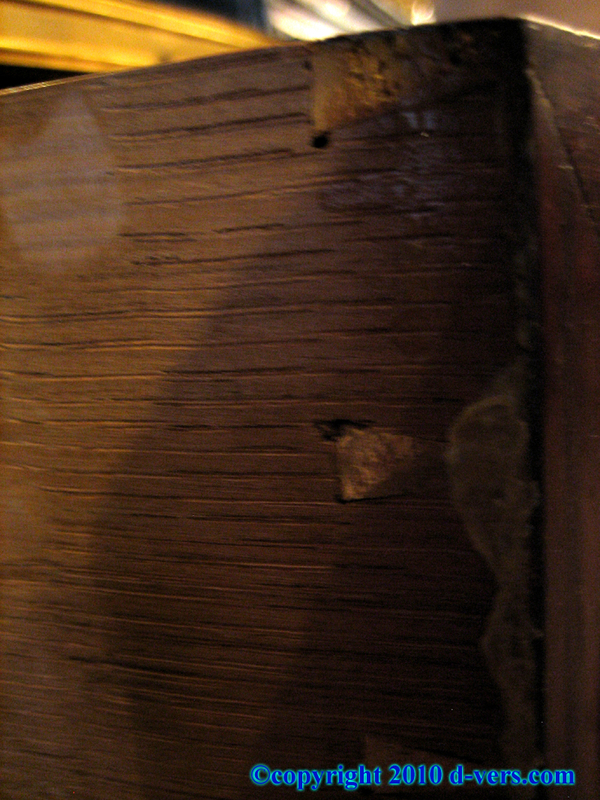 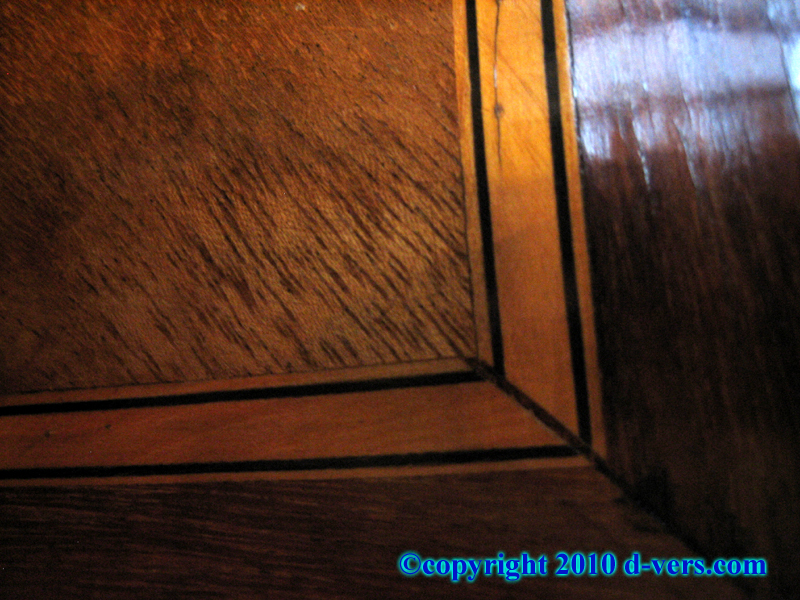 This piece was added to D-Vers.Com Online Gallery on Friday 09 April, 2010.